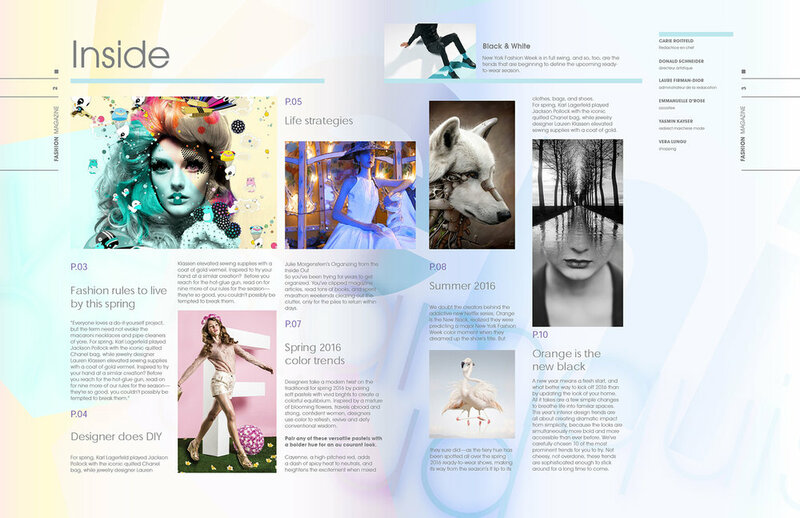 Fashion Magazine design layouts for cover, spreads and back. The overall design approach was to give each spread a unique presence based on the subject. Repetition of anchoring page elements unifies the pages and defines the visual language of the magazine.